Doctors initially gave Vanellope Hope Wilkins just a 10 percent chance of survival after her premature birth. She has a rare condition, born with her heart outside of her chest. 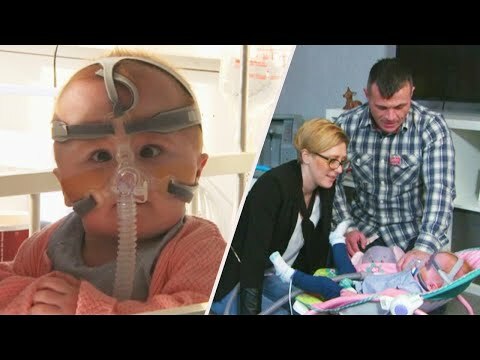 Fourteen months and three surgeries later, her family is relieved to finally take their baby home. “It’s over. It’s all over. Apart from the appointments we’ve got to go to. * But she’s not an in-patient no more, it’s an out-patient,” her family said. InsideEdition.com’s StephanieOfficer has the details.